A defining feature of business in the 21st century seems to be the fact that many companies move online. This trend, however, does not simultaneously imply that all company leaders have the know-how to conduct this online mission successfully. 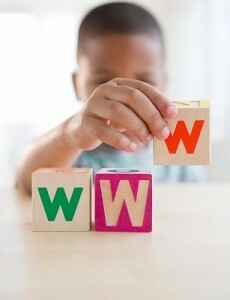 As millions of businesses are claiming their own Web spaces, the World Wide Web resembles a jungle of company websites. Due to the fact that so many of those sites are poorly constructed and scare potential customers away rather than attracting them, here are ten encouraging advices that assist your business in creating a personal website in the unfamiliar sphere of modern technology. In order to avoid complication, your business should decide on a domain name that resembles your brand. Ideally the domain name contains the exact title of your company or at least its shortage. Online analysts recommend the ending ‘.com’ to private businesses and for non-profit organizations they usually advice the ending ‘.org’. The possibility exists to claim both endings that direct users to your homepage. Construct a site map that is easy to use. IT engineers recommend the insertion of dropdowns into the sitemap menu that help users to trace the content that lies behind every single heading. Make it as easy as possible for your interested customers to obtain the information they need and do not waste their time on frustrating, hour-long searches. Starting paragraphs on a business Website should formerly introduce the company including its mission statement, its service and product range and its level of expertise. Try to keep such information short but informative. Beware of the fact that that the first glance on the introduction of a company’s homepage might either determine the user’s further interest or their click on the ‘close’ button. Always make it as simple as possible for potential clients to reach you beyond the online sphere and include several contacts besides the e-mail address such as your telephone number, mobile phone number, fax and the location of your office with a link to Google maps. Display all contact information on top of the side, either in the left or the right corner. In case the website consists of several pages, place the information on the same spot on every page. You can establish trust about your businesses value by pointing at your external reputation. List satisfied voices of previous clients or co-operators and show evidence of former accomplished projects. The use of strong imperatives such as “subscribe here” or “add to shopping basket” that invite the user to click on especially assigned buttons, direct the client immediately to the source of action on your website. Everyone, who aims to seem reliable and trustworthy on his website but integrates grammar and spelling mistakes or even informal language, might certainly fail. You should always pay attention that the quality of the web content you publish is of high standard. Furthermore, original and up-to-date content should be guaranteed anytime. In order to maintain a fresh appearance, link content to your profile on a social network platform. Improve the technical and content components of your website with the target in mind to be listed as first hit on Google if customers search your name. Basically, SEO implies to strategically use a coding system, linking keywords through the content and make sure that there are no spelling mistakes especially in the domain name. More sophisticated technical SEO strategies might follow to keep up with high standards of competitors. In the jungle of websites, many visitors mostly scan though most of the sites and quickly click from page to page. An appealing design of a homepage is likely to cause attraction to its content. Nevertheless, remember that less is more and apply simple colors and graphics as the content should stay to be the most important component. Hackers who obtain access to your homepage can cause great harm to your company’s reputation. Make sure that you decide on a reliable, secure hosting platform before launching your own website. Pay attention to regularly update your content management system.